Determining the right Kratom Dosage to use can be tricky. There’s a lot of information online about how much Kratom you can take, but unfortunately, it’s not always good advice for everybody. Here’s why. There seems to be a never-ending series of Kratom strains and Kratom types available today. Bali, Indo, Maeng Da, Malaysian, Premium Bali, Enhanced Bali, Premium Malaysian, Deep Jungle, Red Veined, Green Veined, De-Veined / de-stemmed and so forth. That fact in itself can cause confusion for would-be Kratom users who are trying to figure out the right dosage for their purposes. However, the potential for confusion doesn’t stop there. Sometimes one vendor will label a certain type of Kratom as one thing, but another vendor will call the same product something different. Take Bali Kratom, for example. Bali Kratom can be called PC, Premium Commercial, Premium Bali and potentially more names. At the end of the day, though, it’s all the same thing — general, non-enhanced Bali Kratom. Another reason why it’s difficult to determine the right Kratom dosage to use is that strength and purity will vary from vendor to vendor. Maybe you bought Bali Kratom Dosage from Vendor A last month and you used 5g with good success. However, when you purchase from Vendor C, maybe you’ll need 8g to receive the same benefits, or you should only have taken 2.5 grams because Vendor C’s Bali is much stronger than Vendor A’s. Beyond the potential strength and purity variations between vendors, Kratom batches can differ even when ordering from the same vendor. Maybe you use a certain Kratom supplier and use 6 grams of leaf or powder normally, but with a certain batch, 6g makes you lightheaded and / or nauseous. Which, this is a sign that you’ve taken too much Kratom. If you’ve purchased Kratom from more than one vendor, you’ve likely come across the disclaimer that Kratom is “not intended for human consumption”. In fact, some Kratom vendors now print that disclaimer / disclosure on their packaging, include a copy of their terms and conditions within their Kratom shipments and paste it liberally all over their websites. Why is this? In part, because Kratom is unregulated. When a product is unregulated, it means there is no standardized quality controls in place. 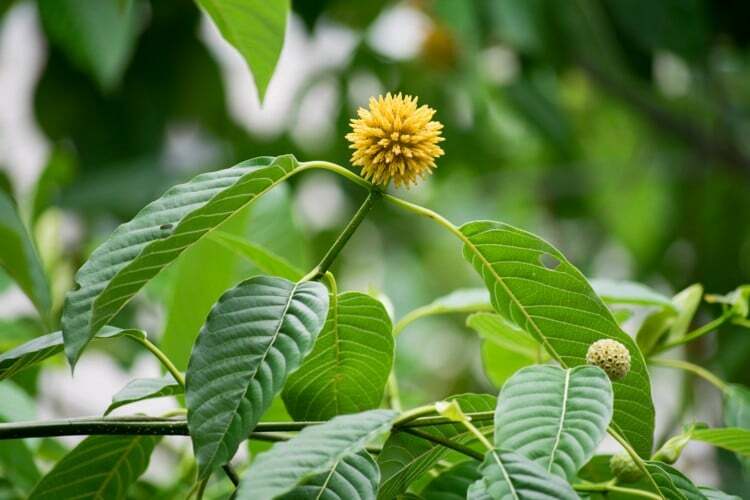 This means that Premium Indonesian Kratom from Vendor A can vary significantly in strength and purity from Premium Indonesian Kratom from Vendor B. While the ‘not for human consumption’ clause is really in place to protect Vendors and help them skirt legal issues pertaining to offering a consumable product, because it’s unregulated, you can never be sure about what you’re receiving ( in terms of actual product, its potency or purity) unless you undergo your own chemical analysis for each batch you order. If you use Kratom, the best way to dose any new batch you receive is to start out small. While a minor Kratom overdose might only result in lightheadedness, nausea, vomiting, headaches or a Kratom hangover, it’s still unpleasant. You can always take more Kratom if your current dose isn’t large enough, but it’s difficult to ‘untake’ Kratom once the effects have kicked in. At that point, you just have to ride it out and learn from your mistake of Kratom over-consumption. Kratom names are not standardized between vendors. One vendor may call something ‘Super Premium Bali’, but it may be the exact same thing as ‘Powdered Bali’ from a different vendor. Kratom powder’s weight, or density, will vary between vendors. This means that one tablespoon of Kratom from one vendor may not equal the same weight of powder from a different vendor in that same tablespoon. To dose accurately, you should use a digital scale. The listed dosages are estimations either based on experience, research, user input here or an approximation based on these information sources. If you’re using a new vendor or trying Kratom for the first time: always start out small. From my one-time and very un-scientific testing, 1 leveled-out teaspoon equals 1.6g of Kratom powder and 1 leveled-out tablespoon equals 5.6g of Kratom powder (but 6.4g with a different powder…YMMV). These were proper measurement spoons, powder scooped out of package and leveled out with a credit card. However, please refer to point three above. This guide is a work in progress. Feel free to submit corrections or additions in the comments section below. eBay is probably better as the shipping is usually lower. I’ve purchased two for under $10 total in the last couple of years. Copyright © 2018 Health Care Geek. All Rights Reserved.